Good. Bad. Right. Wrong. Gray is dangerous, and Marcone is the most annoying shade of gray—the one that pushes me from merely turned on to totally insatiable. I've read all the Jericho Brotherhood series to date and have really enjoyed them, so when a spinoff happened, I got on board. 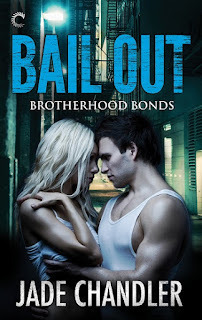 The first Brotherhood Bonds book was pretty good; I liked both of the main characters in that story, but I'm feeling sorta on the fence about #2. I'm not sure I liked Charlie, although I really liked JoJo! JoJo is a biker and the brotherhood is his family. Charlie is a cop, from a long line of cops in her family. Never the two shall meet. Kind of. Charlie has all these preconceived notions about bikers with their illegal activity and JoJo is almost constantly needing to defend himself and his brothers. I found JoJo's character pretty selfless and likable, but Charlie not so much. There's some intermingling of our beloved Jericho Brotherhood characters when the two are forced into hiding in the brotherhood compound that I enjoyed quite a bit. But, I found this book a little slow going at times. 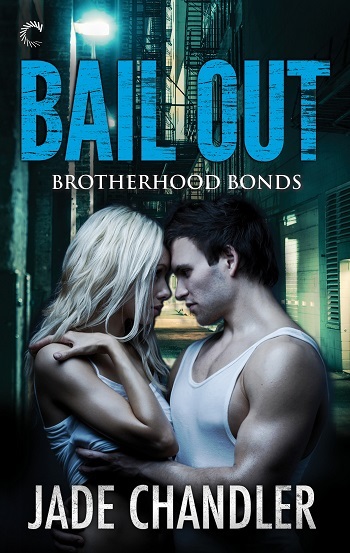 For reviews & more info, check out our Bail Out post. I am Jade Chandler, mother, marketer and author. Romance is something the world can never have too much of, and I like strong characters who life hasn’t treated gently. For me, their happily-ever-after is all the sweeter for the struggles along the way. When not writing, serving as taxi or generally ignored peacekeeper, I enjoy Netflix binges, reading and passing on my obsession with superheroes to my children. If you would like to know more about my upcoming book releases or anything else Jade-related, visit me on my website. 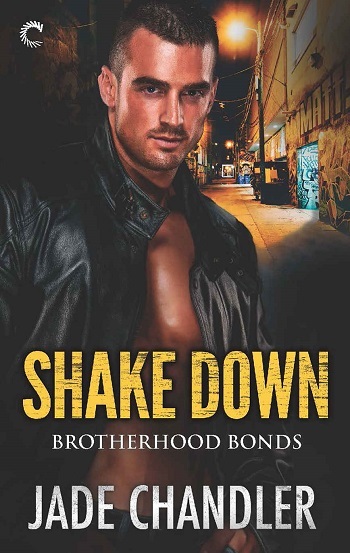 Reviewers on the Wicked Reads Review Team were provided a free copy of Shake Down (Brotherhood Bonds #2) by Jade Chandler to read and review.